HOW DO YOU STACK UP ON THE “ROAD TO WEDDED BLISS” ? Courtesy of our friends at Wedding Paper Divas. 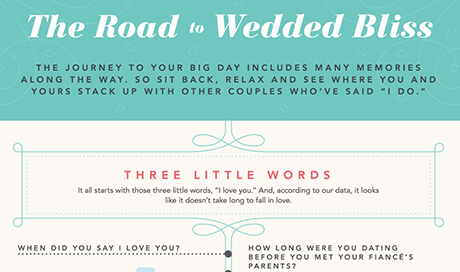 You can view the link here http://blog.weddingpaperdivas.com/the-road-to-wedding-bliss-infographic/.